Durham Amateur Rowing Club member Roger Stainforth demonstrated recently how rowing is a sport for all ages. 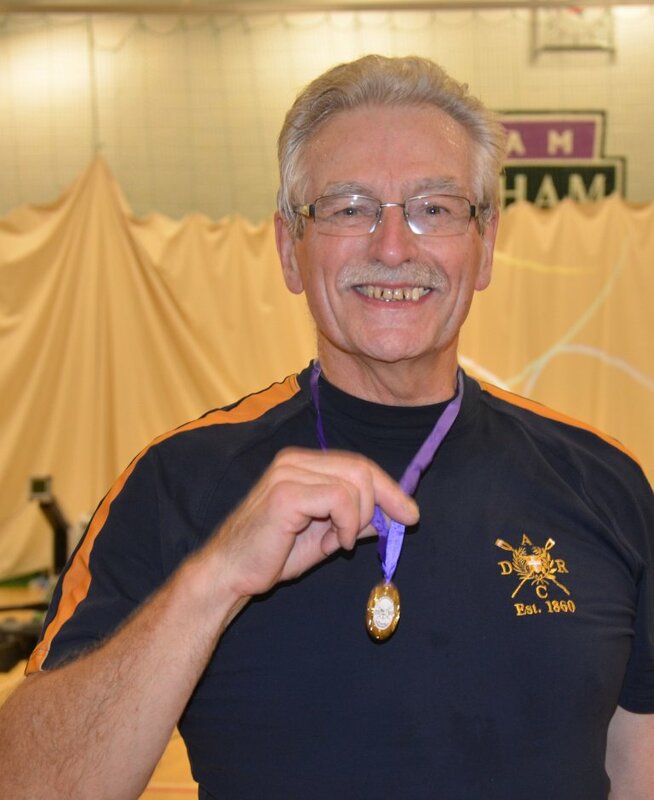 Taking part in the Scottish Indoor Rowing Championships in Glasgow on December 6th Roger, who celebrated his 70th birthday in September, emerged with a new British Record in the over-70 age category. Roger’s time of 3 min 23.5 sec for a distance of 1000 metres knocked nearly 2 seconds off the old record set in 2011. Having taken up rowing soon after his 6oth birthday, Roger specialises in the indoor version of the sport, which takes place using Concept 2 ergos. The motivation for taking up the sport at an advanced stage of life was provided by his daughter Rebekah taking it up, closely followed by wife Hazel, herself now a former world masters gold medallist and record holder on the water, very much a family affair. The standard distance for indoor racing in England is 2km but in Scotland the shorter distance of 1km is the norm. Roger travels around the country taking part in regional, national and international competitions and is no stranger to success, having won gold medals over the longer 2000 metre distance in the British and Irish Indoor Championships in 2007 and 2009 in the 60+ age category. The next target for Roger is the British Championships in February 2015. This entry was posted in Racing News on December 15, 2014 by Colin Lawson.